To add insult to injury, the family could not get a hearse to take the body home; she was taken back again on motorbike. A four-year-old girl was taken to the Ratlam government hospital, 20 km from her village, on a motorbike as her parents, allegedly, could not find an ambulance at the nearby community health centre. The girl, suffering from pneumonia, died soon after arrival at the hospital on Tuesday night, prompting the district administration to order an inquiry into the incident. 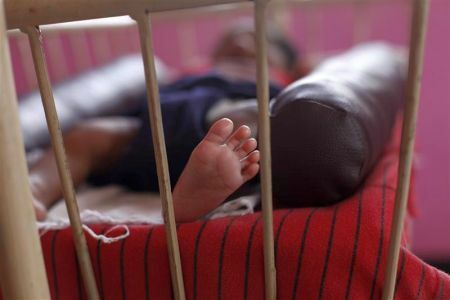 Ghanshyam Nath, resident of Nandleta in Sailana tehsil, told reporters on Thursday that his daughter, Jeeja, was admitted to the Sailana Community Health Centre on Monday with high fever. The doctors there asked him to take her to the district hospital. However, he was told that no ambulance was available, Nath claimed. Nath called a friend who had a motorbike. On Tuesday evening, while the friend drove, Nath and his wife rode pillion with the girl, with the wife holding the IV fluid bottle connected to the child's hand, he said. The girl died soon after arrival at the Ratlam Hospital. To add insult to injury, they could not get a hearse to take the body home; she was taken back again on motorbike. "She was suffering from acute pneumonia. The girl died as she was not brought to the hospital in time. Treatment was started immediately, but she could not be saved," said Dr R C Damor, in-charge of Government Children's Hospital, Ratlam. As to unavailability of ambulance at Sailana, he said he had no information. Ratlam Collector Somesh Mishra said he has asked the sub-divisional magistrate of Sailana to conduct an inquiry and find out if the family was denied the ambulance despite its availability. Action would be taken if anyone is found guilty, he said.